Bromberg, Staudt & Co. is a deep-rooted family business. The following survey shows the most important dates in our 155-year history. 1863: The 26-year-old Martin Bromberg takes over the technical-trading firm “Holzweissig & Company”, which was established in Porto Alegre, Brazil, in 1845, and renames it “ Bromberg & Company”. 1870: The group of companies already comprises 4 branch offices and investment holdings. Partner Jacob Rech opens a commercial branch in Hamburg for the procurement of European good for overseas subsidiaries. 1883: The group of companies now comprises 9 subsidiaries. Further businesses for trade in steel, tools and marine equipment are established. Martin Bromberg receives from Emperor D. Pedro II the Brazilian Order of the Rose for his efforts in the mutual foundation of colonies for German immigrants in the State of Rio Grande. 1887: Death of Jacob Rech. Martin Bromberg becomes sole owner of the Hamburg firm. 1892: Bromberg & Co. opens the largest store in Brazil for household and sanitary goods. 1902: Meanwhile, the trading firm has 153 employees on its books. A number of German industrial companies are exclusively represented by Bromberg & Co. in Brazil. 1913: Martin Bromberg celebrates his 50th anniversary with the Company. The group of companies now comprises 30 sales and engineering offices, of which 27 are located in Brazil and 3 in Argentina. Bromberg & Co. is one of the largest exporting companies in Hamburg and is market leader in technical exports to Brazil and Argentina. Permanent business relationships exist, furthermore, with Peru and the Philippines, as well as with other Latin-American and Eastern Asiatic countries. The group of companies employs a work-force of 899, as well as between 1,500 and 2,000 skilled and unskilled workers in a working-area of 38,437 square meters for offices and storage facilities. In the ensuing years, complete factories, including ready-for-operation installations, are supplied among others, such as wood-processing factories, lumber-mills, textile-mills, brick-making yards, printing-works, meat-processing factories, crane installations, chemical-producing factories, breweries and various electrical installations. The largest Brazilian paper-mill of “Klabin, Irmaos & Co.” is delivered and ready for production. Annual turnover is around 100 million Reichmarks. 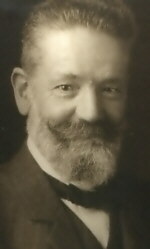 1918 Martin Bromberg passes away. 1939: The Staudt Company from Berlin takes over a minority stake in Bromberg & Co. in order to promote purchasing for the Argentinian market. 1948: Bromberg & Co. is re-named “Bromberg, Staudt & Co.”, and Wilhelm Suhrmann Dip. Eng. Is created Managing Director. 1958: The future sole owner, Rolf Greiter, enters the Company. 1966: Carlota Bischof, the last remaining member of the Bromberg family retires from the Company. Rolf Greiter is appointed Managing Director. 1972: Development of new markets in Asia and in North Africa. 1998: Oliver Greiter joins the Company as assistant to the management board. 2001: Bromberg, Staudt & Co. takes over “HGH Hanseatic Glass Ltd.”, a supplier for the hollow-glass industry to the Latin-American market. 2002: A partial take-over of the business of Firma Propfe und Co. GmbH and, with it, expansion on the Central-American market. 2008 Establishment of Bromberg, Staudt & Co. (USA), LLC in Portland, Oregon, USA. 2009 Take-over of the business of ALEA Handel GmbH and, with it, expansion in Thailand. 2012 Establishment of Bromberg, Staudt & Co. (HK), Ltd, China. Oliver Greiter is appointed Managing Director of the group of companies. 2013 Establishment of a representative office in Mumbai, India. Take-over of the business of GTS Exporthandel GmbH and, with it, expansion in China and S-Korea. 2016 The sole shareholder Rolf Greiter passes away after 58 years of service for Bromberg, Staudt & Co.